Vitamin C, often used to fight colds and other pathogens, may also be a powerful weapon against colorectal cancer (CRC), according to a study published in Science.1 In the study, cultured CRC cells that harbored KRAS or BRAF mutations were selectively killed when exposed to high levels of vitamin C. These mutations are present in more than half of patients with CRCs and are often refractory to approved targeted therapies2; thus, there is an urgent need for novel treatments. 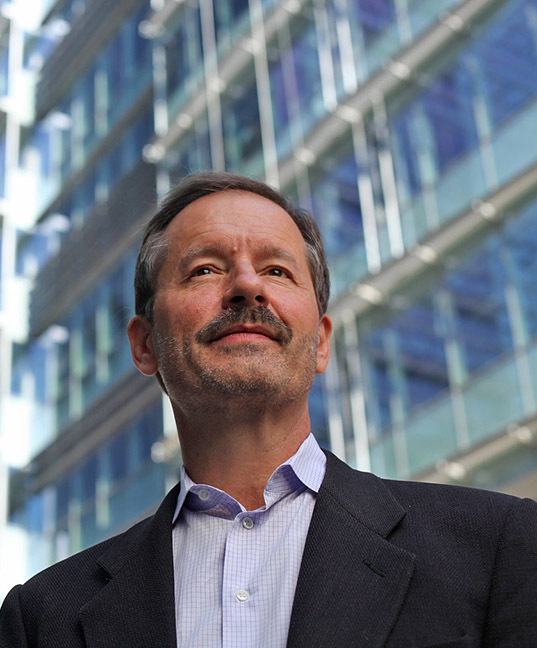 The study investigators, led by Lewis Cantley, PhD, Department of Medicine, Weill Cornell Medical College, New York, NY, first observed the cancer-killing effect in cell culture studies. The KRAS- and BRAF-mutated cells were found to have an increased uptake of the oxidized form of vitamin C, dehydroascorbate (DHA), via the GLUT1 glucose transporter, a protein that facilitates the transport of glucose across the plasma membranes of cells. Natural antioxidants inside the cancer cells converted the DHA back to vitamin C, but this process consumed all the available antioxidants, and the cells ultimately died from oxidative stress. After observing the selective killing of KRAS- and BRAF-mutant CRC cells in their cell culture studies, Cantley et al explored whether or not vitamin C could alter the growth of KRAS- and BRAF-mutant CRC in mice. They found that high-dose vitamin C impaired the growth of CRC in mice with KRAS mutations. The Cantley et al study is not the first to look at vitamin C as a potential treatment for cancer. “Numerous clinical trials have been conducted with vitamin C over the past 49 years, with conflicting results, but these trials have not focused on the mutational background that would predict which patients are likely to respond,” Cantley said. Armed with this new knowledge, he and his colleagues have started conferring with other clinicians about the design of clinical trials that would test the idea that KRAS- and BRAF-mutant cancers are more effectively treated by vitamin C than other cancers. Although Cantley does not rule out the possibility that other cancers might benefit from vitamin C treatments, especially if they share the characteristics of KRAS- and BRAF-mutant CRCs, research has yet to identify such tumors. While patients might be tempted to load up on vitamin C based on the recent study results, Cantley warns that it is extremely unlikely that one could consume enough vitamin C orally to achieve the concentration of vitamin C and DHA in the bloodstream that is needed to kill tumors. In fact, Cantley et al suggest that there have been a growing number of phase I/II clinical trials reevaluating intravenous (IV) infusion of vitamin C to treat various cancers because this route of administration was recently linked to superior efficacy over the oral route.1 For patients receiving IV vitamin C as part of a cancer treatment regimen, Cantley warns that they should not take antioxidants concomitantly because these agents will prevent the formation of DHA, which was shown to be the effective agent in Cantley et al study. “I think that most oncologists would agree that we are entering an era in which precision medicine will be increasingly important for choosing therapies; however, for most patients, the mutations revealed by sequencing genes in the tumor do not suggest an effective therapy,” said Cantley. “Although KRAS is one of the most frequently mutated genes, we do not yet have a drug that directly targets it, and even if vitamin C ultimately shows good results in humans with this or the BRAF mutation, it is likely that we will need to combine it with other agents that enhance the formation of reactive oxygen species in the tumor to achieve tumor shrinkage,” he said. Yun J, Mullarky E, Lu C, et al. Vitamin C selectively kills KRAS and BRAF mutant colorectal cancer cells by targeting GAPDH. Science. http://www.sciencemag.org/content/early/2015/11/04/science.aaa5004.full. Published November 5, 2015. Accessed November 12, 2015. doi: 10.1126/science.aaa5004. Basu GD, Xiu J, Arguello D, et al. Prevalence of KRAS, BRAF, NRAS, PIK3CA, and PTEN alterations in colorectal cancer: analysis of a large international cohort of 5,900 patients. Poster presented at: 2014 Gastrointestinal Cancers Symposium; January 16-18, 2014; San Francisco, CA. Abstract 399.